Details on the party's membership and structure can be found below. The Politburo is the collective leadership and highest authority of the party. It summarily determines the official stance of the party on any issue. The Secretariat ensures that the organisation runs smoothly. 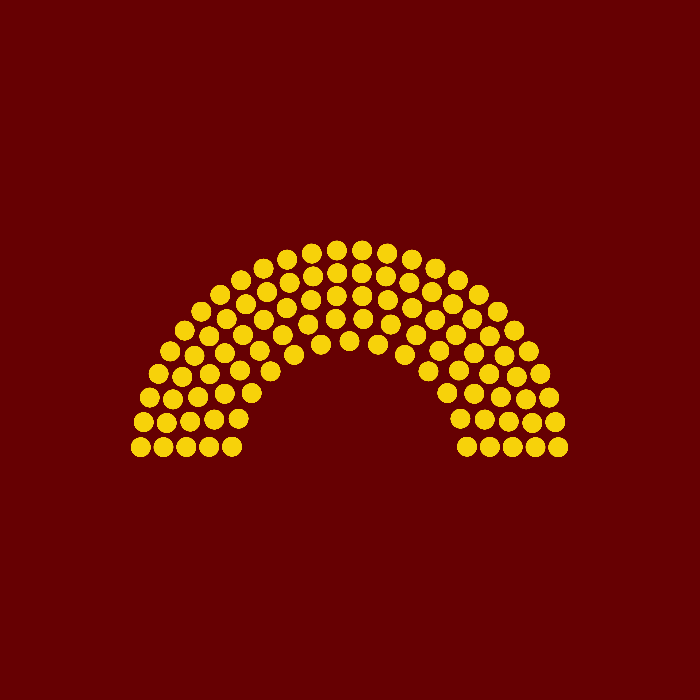 The Central Committee is the central authority within the party. Between its sessions, it is represented by a subset of its members, who form the Politburo. Policy Committees focus on specific areas of research and policy to influence the party's official stances. Blocs are groups within the party, that may be based on shared geography, ideology, and/or interests. Units are the main point of contact for members and some observers of the party. They are the base of the party organisation. General members of the party are persons who are in line with the party ideology, and who pay membership fees.